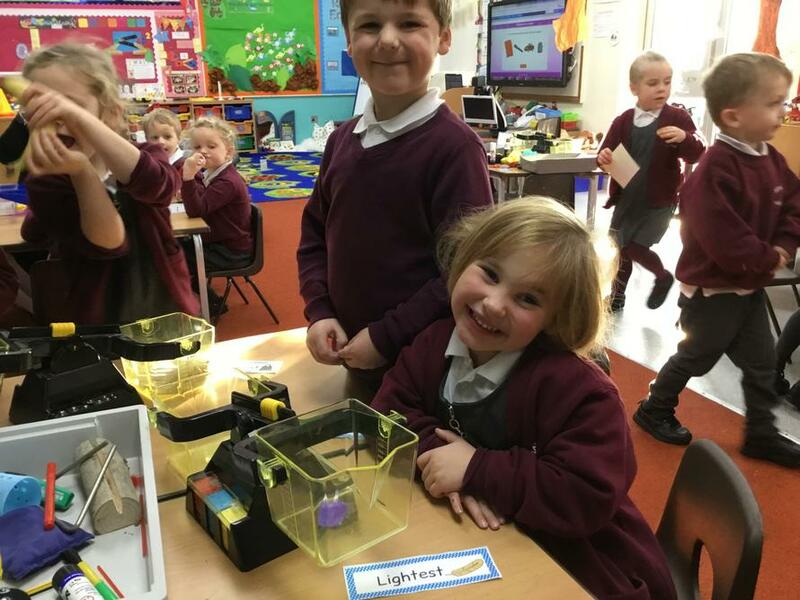 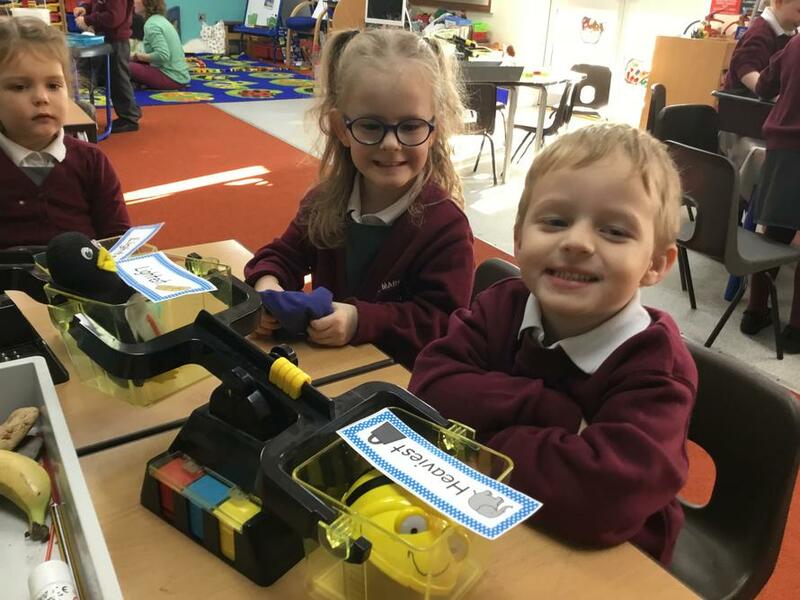 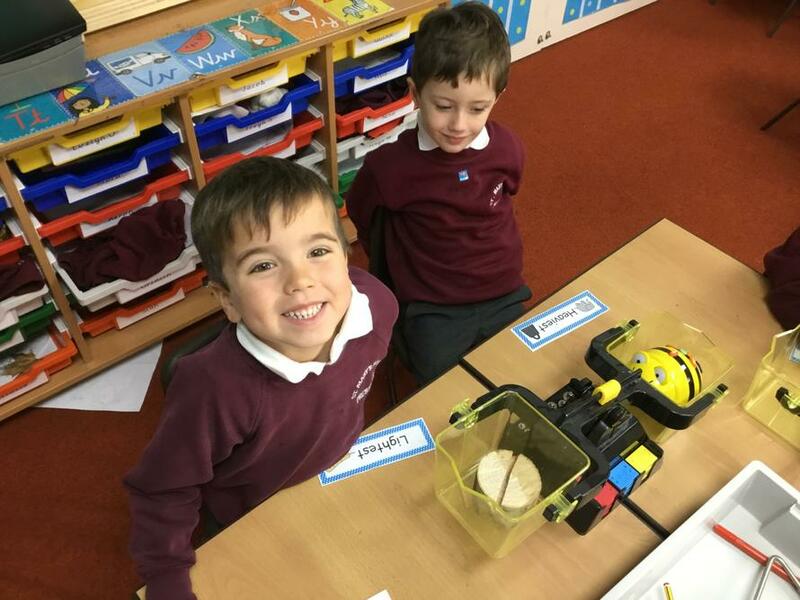 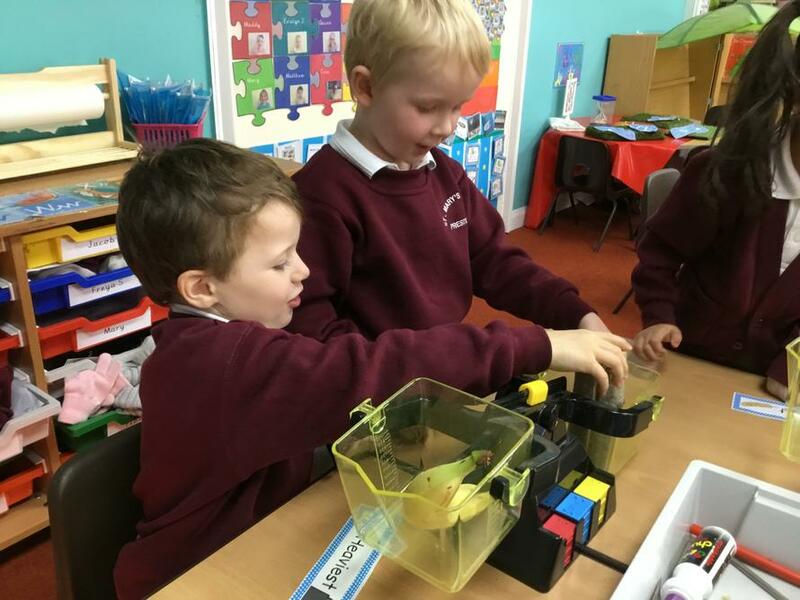 We have been thinking about weight and how it tells us how heavy something is. 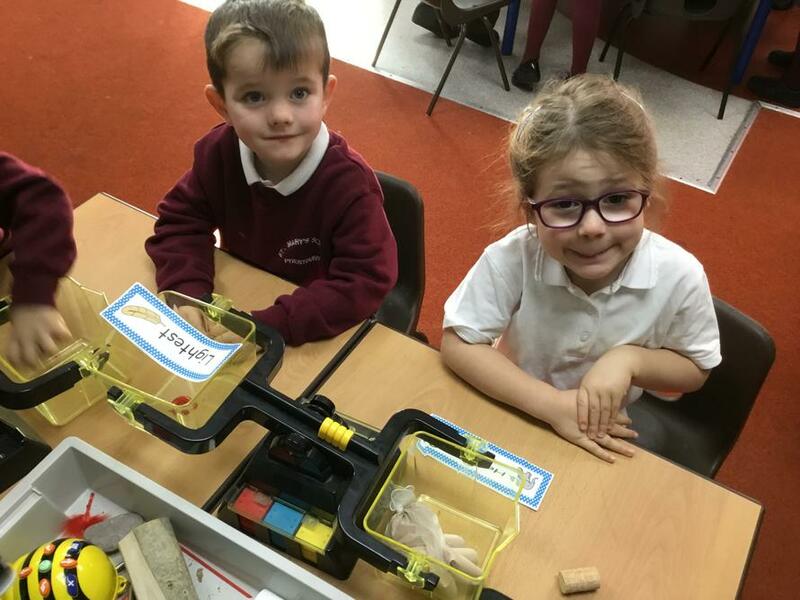 We worked in partners to choose an object each and predict which one would be the heaveust or lightest. 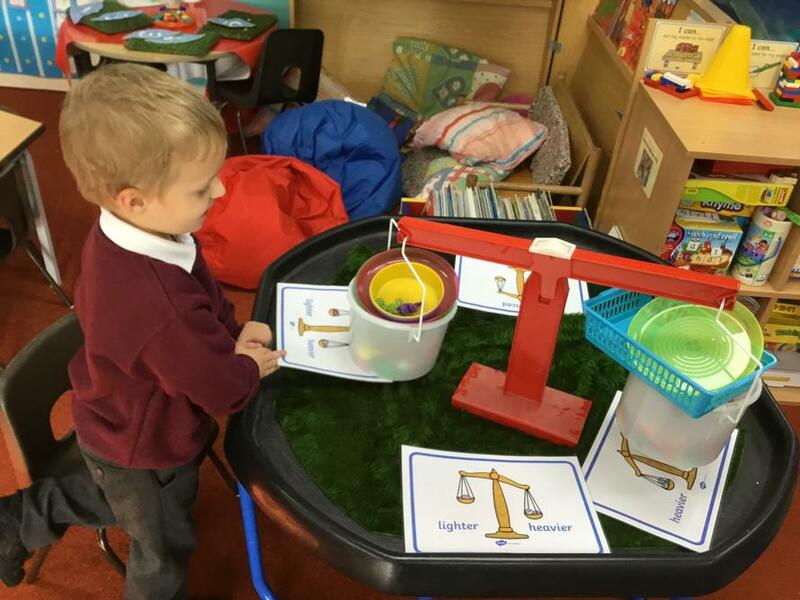 We used the balance scales to test our predictions. 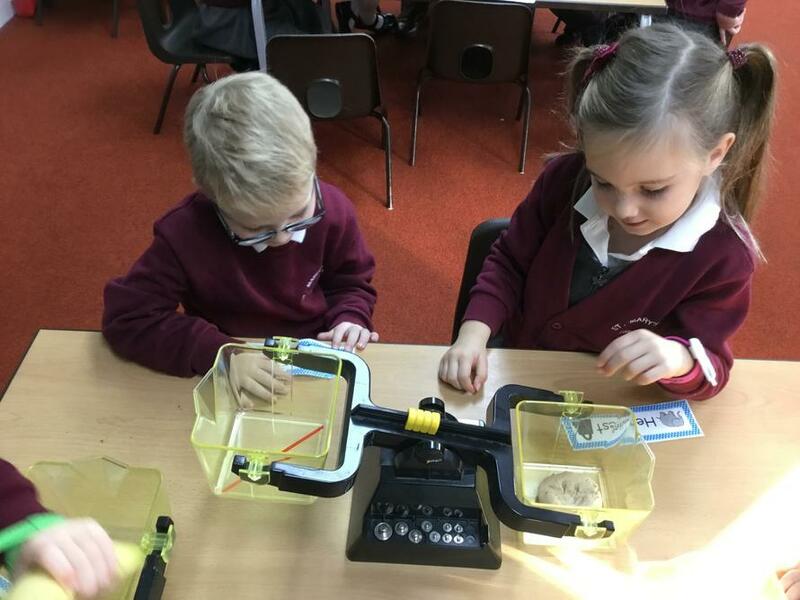 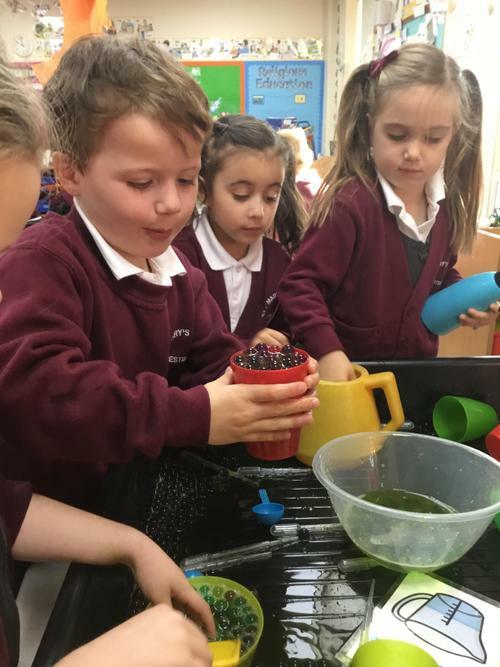 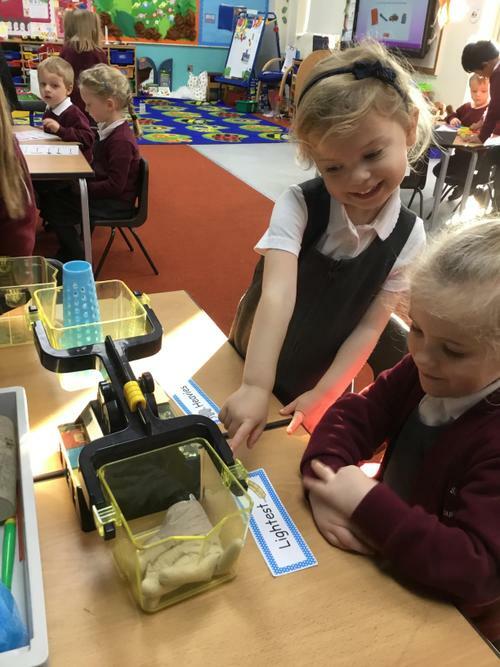 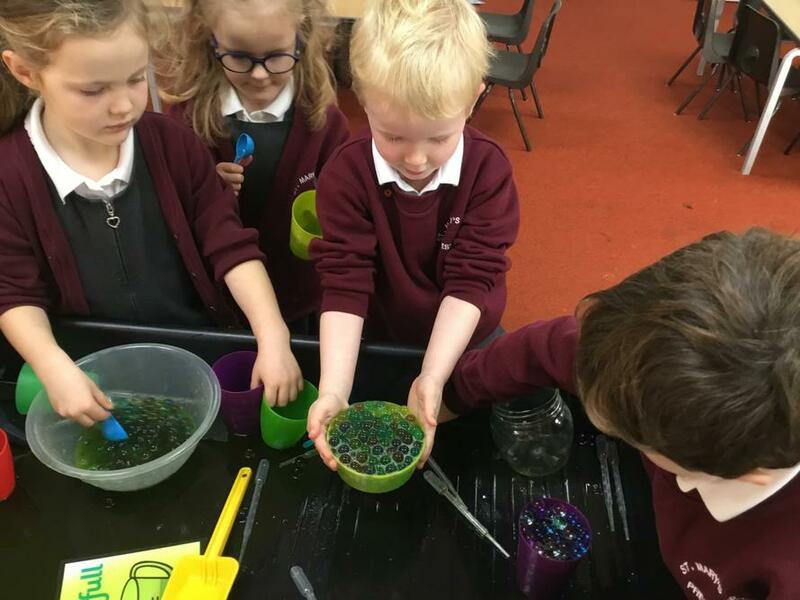 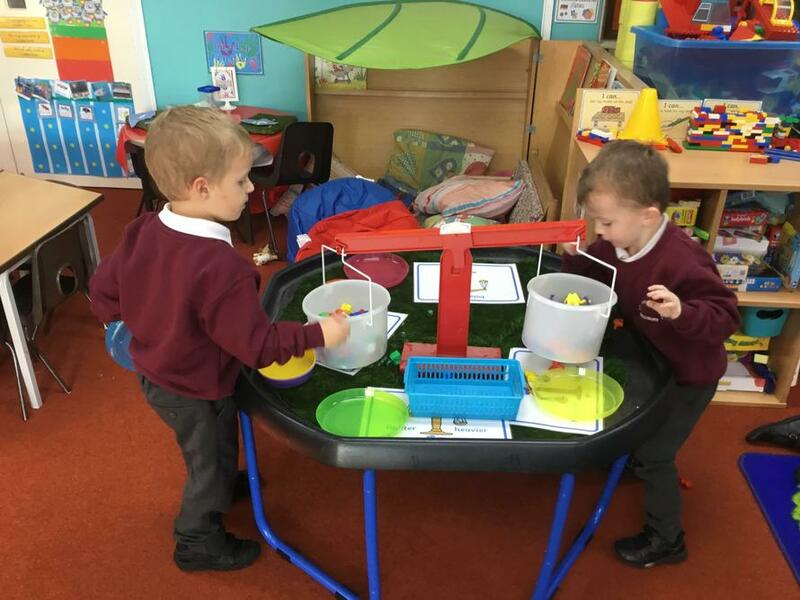 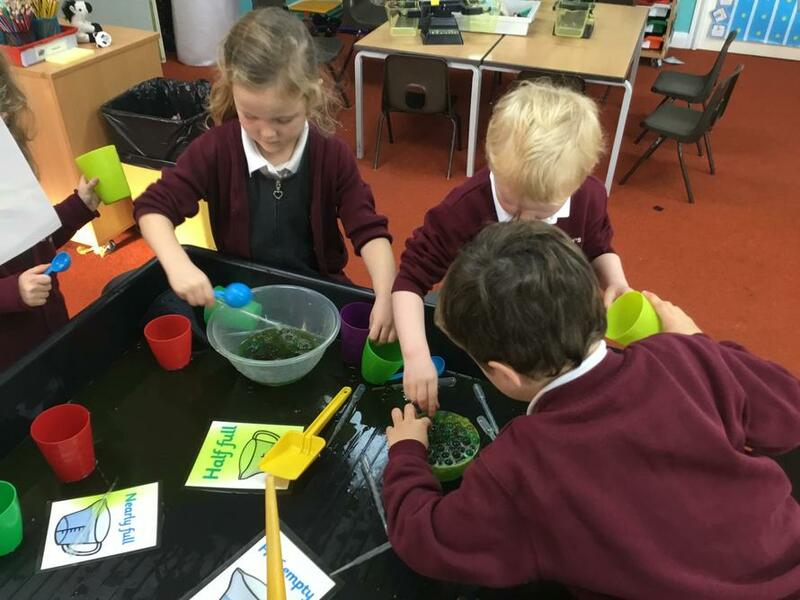 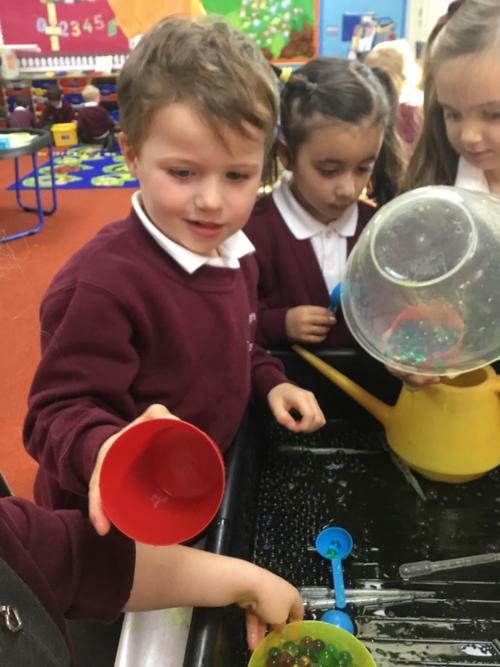 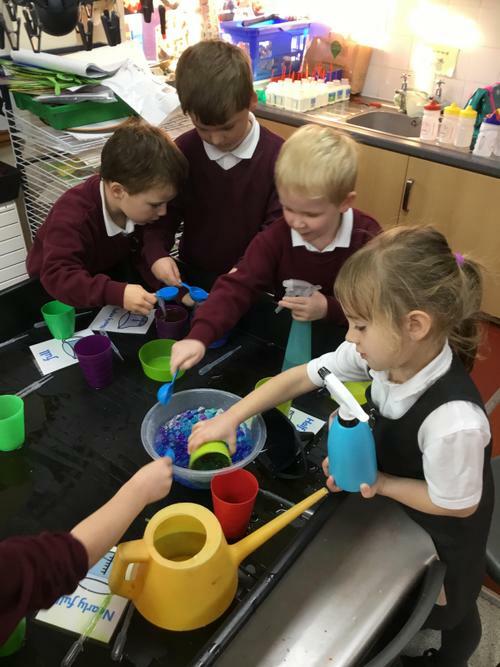 Outside and in the play tray we have been measuring amounts to show full, half full, nearly empty and empty.